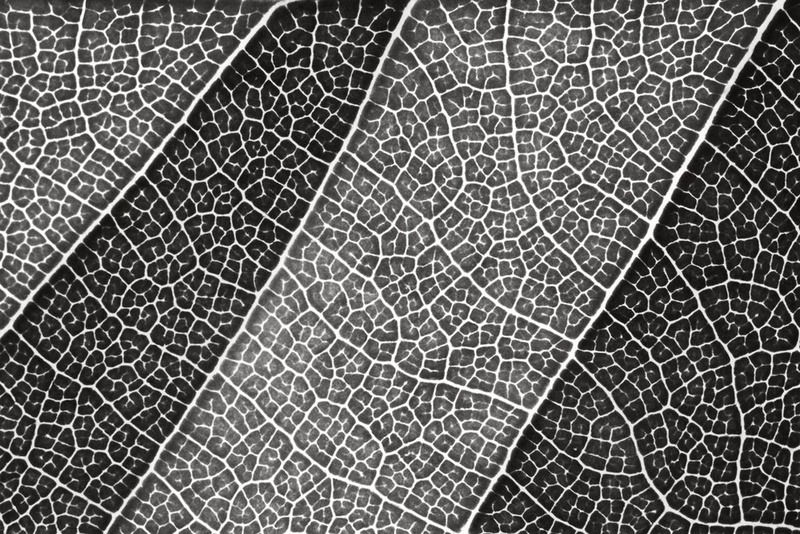 This is a black and white macro photographic image showing the intricate and delicate details within the structure of a leaf resulting in an engaging abstract. 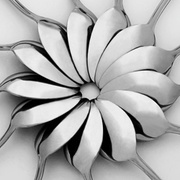 This image is available in its original green color and in cool blue tones. This is one in a series of 12 similarly styled images.